Babies Babies Babies! 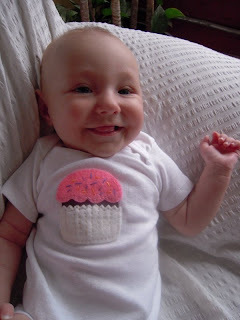 This little baby is wearing something bought from me at the fair but the artwork is all Lesley Wiener! The baby is Cloe's niece Anska Solrun Wolfraven Hilash. Woah amazingly adorable. I would be that happy too if I was wearing something designed by Lesley and Tamara! Lucky kid!